Professor Tani Barlow from Rice University spoke to women’s studies students about the history of feminism in mainland China. 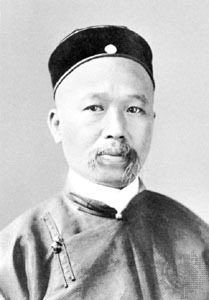 The feminist figure that Barlow called the “most revolutionary of all [the] figures from this time period” was a woman named He Zhen. She was an anarcho-feminist convinced that women had been sexually traumatized and demeaned by patriarchy as well as capitalism. Barlow commented, “She [was] very violent. The problem for her was that capitalism and patriarchy weren’t the same age, so sometimes she would just say, ‘kill men.’” Zhen believed that women shouldn’t be like men, because men were violent and lustful. Ironically, she determined that women needed to kill men that were evil and stand up to the rest to claim their rights. 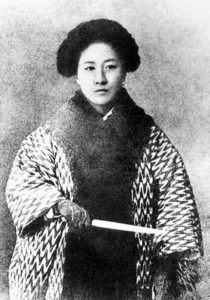 Qiu Jin was another violently inclined feminist, but also a fierce nationalist. She learned feminist philosophies while living in Japan and brought them back to China. She was an educated woman, famous for cross-dressing often and always carrying a dagger. She was captured during an uprising she had orchestrated against the government, after which she died a martyr for the “new nation.” Later, a woman named Ding Ling “called out the Maoist party at a turning point in communist history and really scolded Mao Zedong, saying that he was a sexist.” Ding Ling was one of many famous, popular feminists who left behind writing that is now an integral part of modern Chinese literature. Women began, more and more, to write about their opinions, feelings, desires and goals. Olivia covers events for the Women’s Studies Program for the College of Humanities. She is a senior pursuing a degree in French language with a minor in writing and rhetoric.